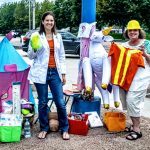 Tee-shirt costumes I made that were on display. Peter Pan Tee, Dinosaur Spine Tee-shirt. 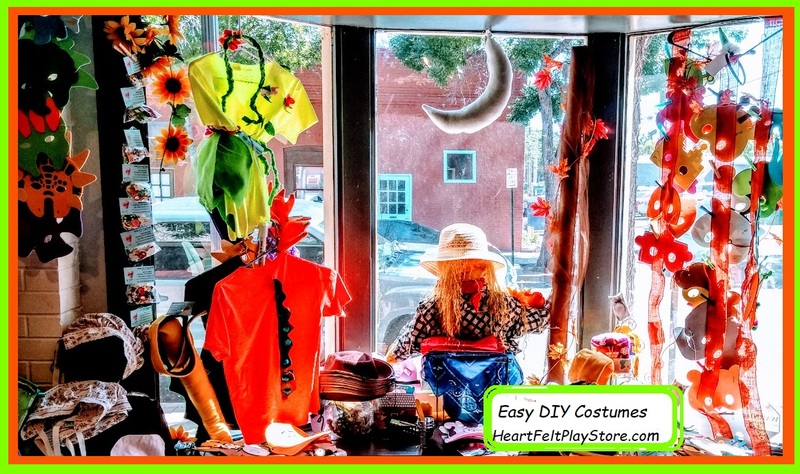 Do you need a cheap dress-up costume for a school skit or a birthday party activity that the kids will remember and wear long after the gift wrapping paper is thrown away? 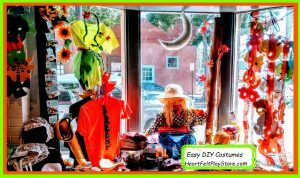 this post will get you started thinking of ideas that you can make with what you have in the house and a few little extra costumes parts.